Our cozy room and the hospitality of Sea Cocoon Hotel definitely made our long weekend trip in El Nido a great one. Staying here was such a pleasant experience. 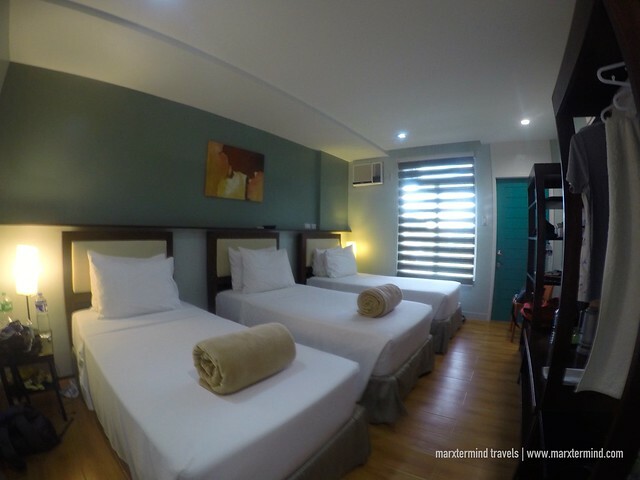 We were treated with variety of comfort during our thee-night stay. 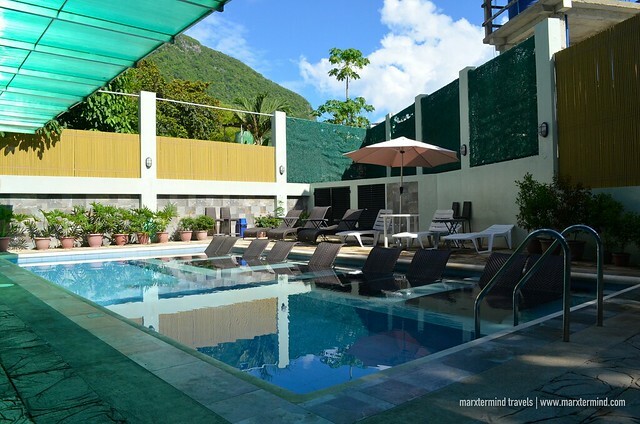 This relatively new hotel in El Nido provided us the excellent services and amenities. 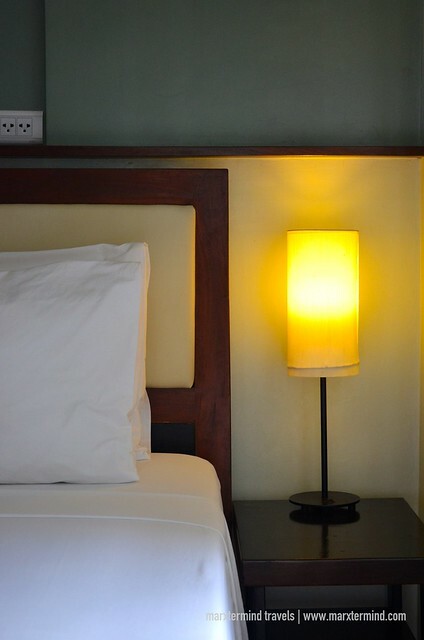 It’s a cozy and friendly hotel offering quality accommodations and good range of facilities. Not to mention, it also has a fantastic location making our vacation in El Nido more convenient. It was around 2:00 PM when we arrived in El Nido. Finally! I told myself as I was already feeling tired after the 5-hour land travel that we had from Puerto Princesa. I also flew to Palawan straight from my work that day. When we alighted from the van, the hotel staff welcomed us and happily greeted us. This instantly made me feel the warmth and friendliness of Sea Cocoon Hotel. We went straight to the front desk to check in. We were given bottled waters to drink. After our reservation was confirmed, two of the staff accompanied us to our room on the third floor and helped us with our bags. Entering our room made me wanted to jump straight to the bed and have that much-needed rest. Our room furnished with three single beds made me wish that one of our buddies should have joined us on this trip. It was spacious for just my friend and me. We stayed in a Triplet Room. The room was clean and air-conditioned. It has cable television, electronic room safe, telephone, coffee and tea making facilities, and bedside lamps. We also have our own private balcony with a nice view of the pool. 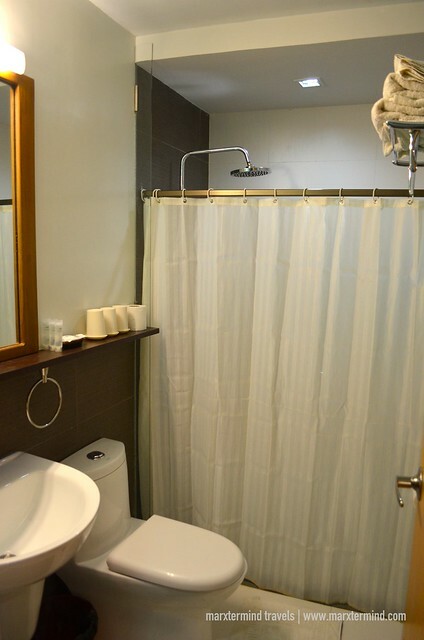 The bathroom was also tidy provided with bathroom amenities. Towels are free to use. A hair dryer is also available. The room looks nice with its simple interior. It has a comfortable and cozy ambiance to love. Sea Cocoon Hotel also features other room types such as Standard Twin and Double, Premium Double, Special Double, and Regular and Special Family Room. Check rates and room availability here. 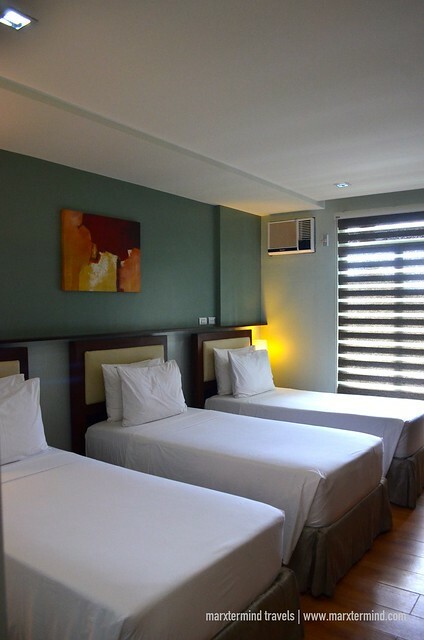 Sea Cocoon Hotel also features a number of facilities giving guests more comfort and convenience. They have 24-hour front desk and security, and provide transfer and tour assistance. The hotel also accepts major credit cards. For a place to relax and unwind after a whole day of activities, the hotel has an outdoor pool for that. They have a roof deck as well. This may need permission from the owner or the staff if you want to get access to it since it’s actually a laundry and storage area. 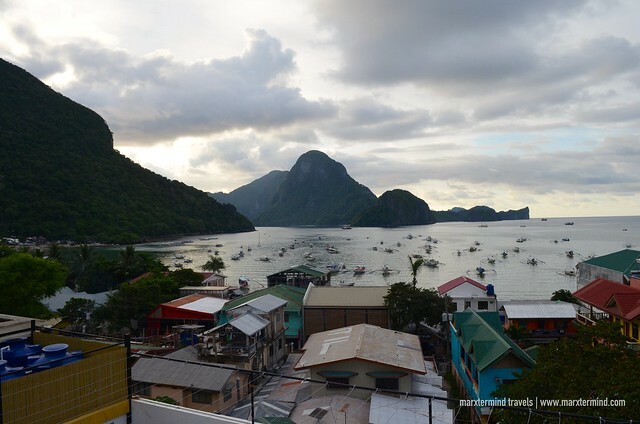 The roof deck offers a gorgeous view of the town and nearby islands. 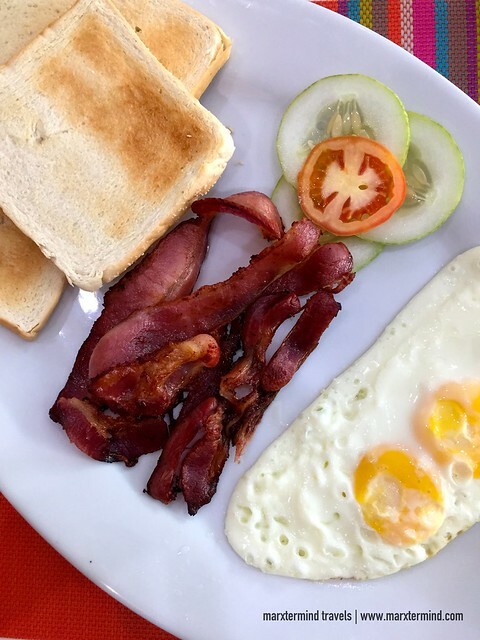 When staying at Sea Cocoon Hotel, guests are also provided with complimentary breakfast either in plated (choice of Filipino or Western breakfast) or buffet style. This depends on the number of guests staying. But whether plated or buffet, the hotel also serves unlimited coffee and drinks, fruits, cereals and breads as part of the breakfast. Enjoy the first meal of the day at the spacious dining area next to the pool. 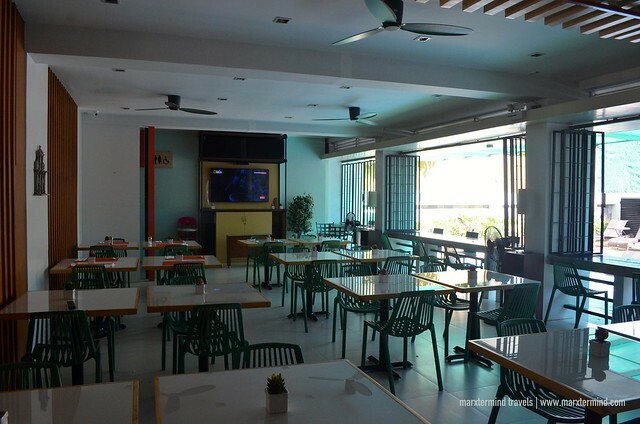 Another thing to like about Sea Cocoon Hotel is the reliable Internet connection available in designated areas. Connecting to the Wi-Fi is free to all guests. However, it’s strange that only staff can log in the device to the Internet. They will not give out the password. Guests need to hand over their device so staff can enter the password. Pretty odd but it’s understandable. Probably, the hotel wanted to limit the number of gadgets connected to the Internet. 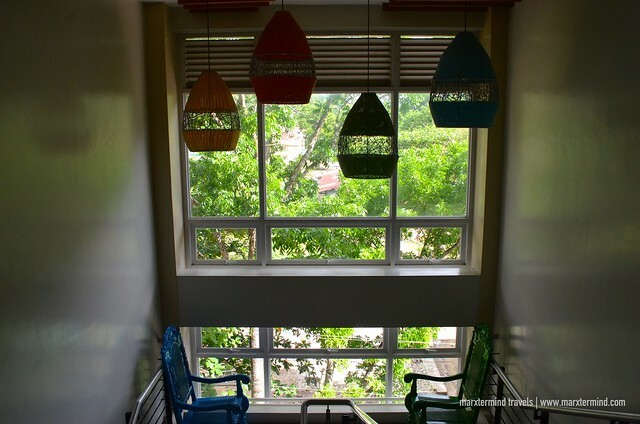 Because of the many great things, Sea Cocoon Hotel is a cool and ideal place to stay while in El Nido. It offers comfortable rooms and excellent facilities. Staff are helpful and accommodating. 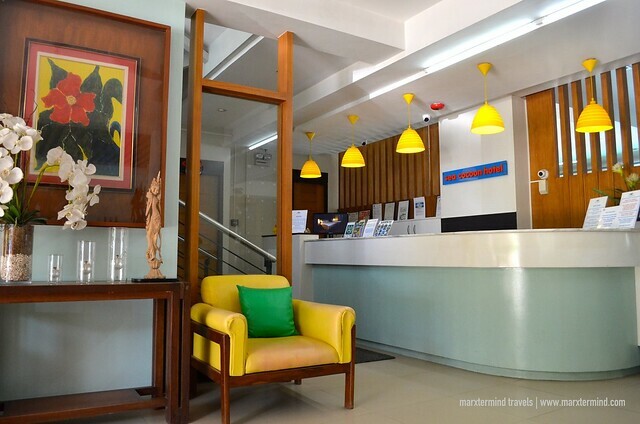 A cozy and friendly hotel, it is the perfect base to spend a vacation in El Nido. Hi there! I would like to ask if their published rates in the website are inclusive of tax? No hidden charges? I am emailing them & they didn’t answer my question about it. I hope you could reply. Thanks! Yes, inclusive na po as far as I know.